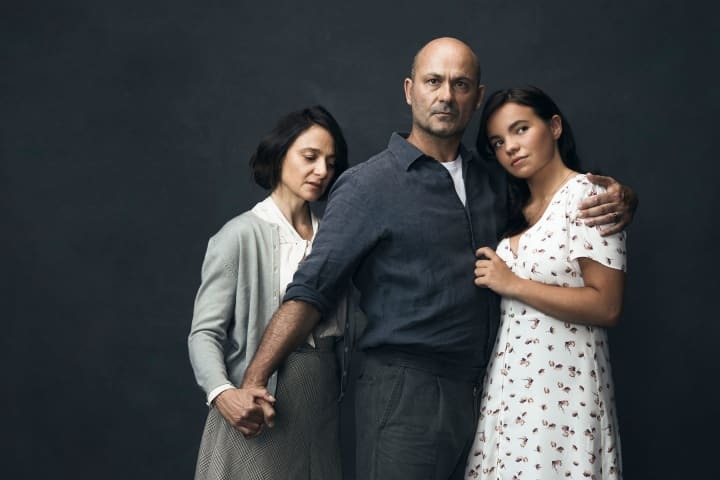 See Sydney Theatre Company's 2018 production of Nakkiah Lui's Black is the New White on stage. It’s Guess Who’s Coming to Dinner crossed with Meet the Fockers. Black is the New White is the hit new Australian comedy set to delight Melbourne audiences. Award-winning writer and TV personality Nakkiah Lui shows us why she is one of this country’s most incisive comedy writers, with a home-grown satire that is both subversive and thoroughly entertaining. 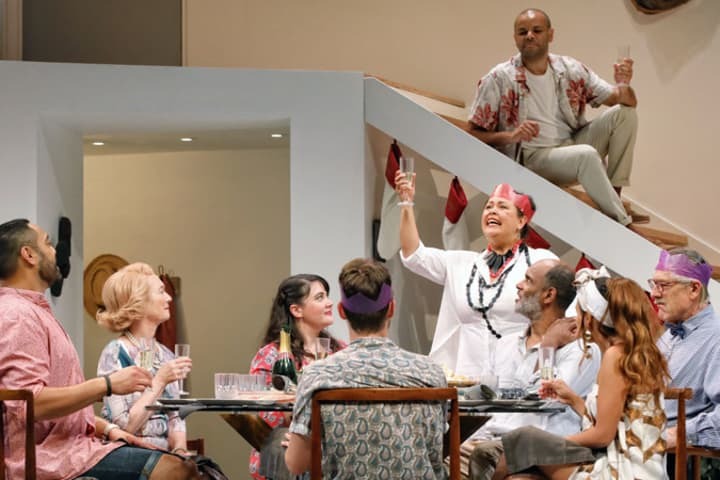 See the cast of Sydney Theatre Company’s Black is the New White (2018) on stage in our production gallery. This laugh-out-loud romantic comedy, directed by STC Associate Director Paige Rattray, stars Kylie Bracknell (Kaarljilba Kaardn), Tony Briggs (The Sapphires), Luke Carroll (Redfern Now), Vanessa Downing, Melodie Reynolds-Diarra, Tom Stokes and Anthony Taufa. Black is the New White is playing at Southbank Theatre from 2 October 2019. Please note not all cast members pictured in STC’s production images will feature in MTC’s production. Photography by Prudence Upton.